The International Design Excellence Awards event takes place every year, and it has now come and gone in 2012. This year, Nokia is very pleased to announce (and rightfully brag) that their Lumia 800 and Lumia 900 Windows Phones have each, respectively, received gold International Design Excellence Awards. 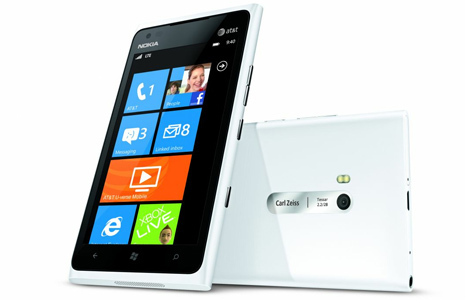 At the 2011 IDEA awards, Windows Phone 7 won Best in Show, now it’s Nokia’s Lumia 800 and Lumia 900 that get the glory. Entered separately, the Jury chose to reward the Lumia series for its distinctive contribution to smartphone design. The Jury said, “In a market in which it is difficult to stand out, the Nokia Lumia brings a fresh perspective. The iconic form is personal and inviting without sacrificing precision, and the construction is modern, efficient and well-crafted down to the smallest details. It’s a bold, gold-worthy effort, and I’m glad to see Nokia reclaim its design swagger.” Jonah Becker, Principal and Creative Director, One & Co.
What do you think about this excellent achievement on behalf of Nokia? We are truly happy for Nokia on, not one but two, separate achievements for two separate handsets on the Windows Phone platform. It truly shows the dedication, effort, time, and money that Nokia has placed into their Windows Phone handsets, and the Windows Phone world overall. well deserved. this is a beautifully designed piece of hardware. the only bad news is the recent announcement that it will not get windows phone 8. but who knows, i think nokia “gets the message” and may release a similar wp8 form factor … kinda like the iphone 4s essentially looking identical to the iphone 4 — once you have nailed a nice design, stick with it. to satisfy a more general audience — i.e. both men and women — they should probably stick with the 800 size — my wife finds my 900 a little bit too big, but the iphone to be the perfect size.